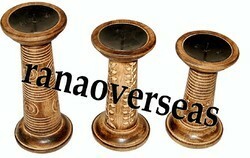 Manufacturer, Supplier and Exporter of Candle Stands, T- Lights and Votives. With years of experience in this domain, we have the privilege of serving our clients with a supreme quality range of Brass / Aluminium / Iron / Wood Classic Candelabra. 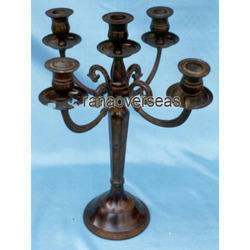 These candelabra are manufactured using excellent quality. We have been ranked as the most dependable and leading firm all over the nation and actively emerged in providing a wide array of Aluminium Candle Stand, which is used for decorative purposes. This stand offered by us is designed using premium grade raw material and latest technology in accordance to universally verified standards. In addition to this, our range highly appreciated by our clients for its several features such as attractive designs and abrasion resistance. With precious understanding of the relevant industry, we are counted as the top most firm of premium quality Brass Candle Stand. Owing to attributes such as durability and smooth finish, this stand is widely accepted by our prestigious clients. The offered range stand used for interior decoration purpose at different places including residential, industrial as well as commercial places. Clients can also avail the entire range from us at the most economic price and in varied specifications. With the usage of progressive technology and innovative machines, our professionals offer a broad assortment of Iron Candle Stand to our clients. The stand offered by us is highly praised for its light weight and excellent look which is available in different sizes as per the demanded specifications from our clients. This stand is stringently tested under the supervision of our skilled professionals in order to ensure flawless supplies at our client's end. 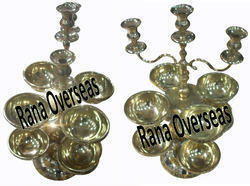 Rana Overseas is the Leading Manufacturer, Supplier and Exporter of Brass T-Light Votives Holders. 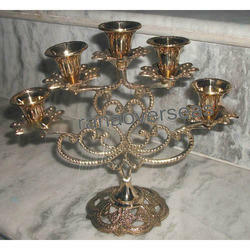 With years of experience in this domain, we have the privilege of serving our clients with a supreme quality range of Brass / Aluminium / Iron / Wood Classic Candelabra.Brass T Light Votives specializes in offering superior quality multifinishn T Light Votive to our reputed customers. Designed as per the industry set standards, the offered products are widely appreciated for their attractive design and eye catching appearance. Manufactured using advanced tools and equipment, these light votives are widely used for decorating interiors. 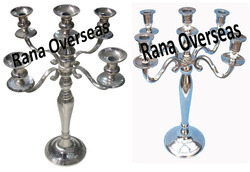 Rana Overseas is the Leading Manufacturer, Supplier and Exporter of Metal Votives Holders. We hold expertise in manufacturing and exporting of varied range of artistically designed T-Light Candle Holder, which is widely used as excellent decorative piece. 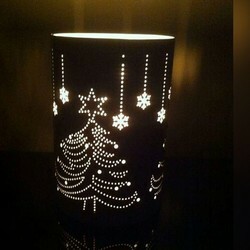 With our experienced and creative designers, we are able to provide eye-catching and attractive T-Light Candle Holders, which are highly appreciated for their captivating engravings and attractive designs. Avail from us, these exquisite Brass Candle Stands that are designed to decorate homes, hotels, restaurants and other places. Manufactured and designed from high grade brass, using advanced machines, the product is at par with international quality standards. The Brass Candle Stands, offered by us are available in different sizes, patterns and finishes according to the specifications, provided by our valued clients. Features: Optimum quality Safe to use Durable Fine finish. Offered in the market at the most reasonable rate possible, the range of Brass Candelabra Holder is known to be highly praised and preferred in the market. Manufactured in compliance with the set industry norms and guidelines, its quality never deteriorates. In addition, the offered range made using quality raw materials, has a fine finishing, attractiveness and resistance to corrosion. Avail from us, these exquisite Brass Candle Stands that are designed to decorate homes, hotels, restaurants and other places. Manufactured and designed from high grade brass, using advanced machines, the product is at par with international quality standards. The Brass Candle Stands, offered by us are available in different sizes, patterns and finishes according to the specifications, provided by our valued clients. 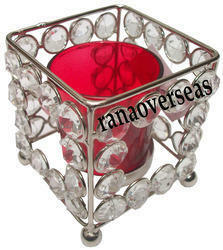 Rana Overseas Leading Manufacturer, Supplier and Exporter of Diamond Glass Votive T-Light Holders Providing both utility functionality and that grandeur to the whole arena be it indoors or outdoors. We hold expertise in Manufacturing and Exporting of varied range of artistically designed Diamond Glass Votives T-Light Holder, which is widely used as excellent decorative piece. With our experienced and creative designers, we are able to provide eye-catching and attractive Diamond Glass Votives T-Light Candle Holders , which are highly appreciated for their captivating engravings and attractive designs. 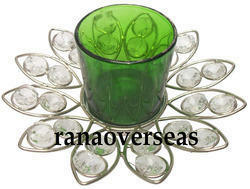 Rana Overseas Leading Manufacturer, Supplier and Exporter of Crystal Tea Light Candle Holder Providing both utility functionality and that grandeur to the whole arena be it indoors or outdoors. We hold expertise in Manufacturing and Exporting of varied range of artistically designed Crystal Glass Votives T-Light Holder, which is widely used as excellent decorative piece. With our experienced and creative designers, we are able to provide eye-catching and attractive Crystal Glass Votives T-Light Candle Holders, which are highly appreciated for their captivating engravings and attractive designs. We understand the needs of the clients, thus delivering a quality tested range of Iron Candle Stands. Our products are available in the market in various sizes and specifications that can be availed at market leading prices. These products are not only used for decorative purpose but also make dinners and tea times romantic. Moreover, our Iron Candle Stands renders a classy and trendy look to the house. 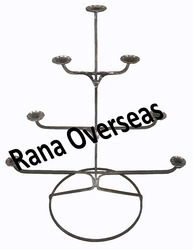 Rana Overseas Leading manufacturer, exporter of Wooden Candle Stands, We have various designs, shapes and sizes in Wooden Candle stands, Our Range Includes Wooden carved candle stands , Wooden undercut Candle Stands, Wooden Pillar Candle stands, Wooden wall sconce etc. 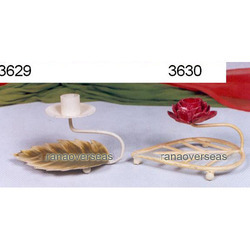 Rana Overseas Leading manufacturer, exporter of Wooden Undercut Candle Holders, We have various designs, shapes and sizes in Wooden Candle stands, Our Range Includes Wooden carved candle stands , Wooden undercut Candle Stands, Wooden Pillar Candle stands, Wooden wall sconce etc. 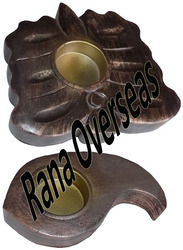 Rana Overseas is the Leading Manufacturer, Supplier and Exporter of Wooden Tea Lights Holders, Our T Light Candle Holders offered is made available in numerous finishes and innovative design choices and its elegant finish and lustrous shine make these highly demanded in the market. Helping in enhancing the aesthetic beauty of home interiors, we make these available in different size configurations to choose from. Further, these are also easier to maintain and clean and help in adding a touch of color to the walls and ceiling areas. We hold expertise in manufacturing and exporting of varied range of artistically designed Wooden T-Light Candle Holder , which is widely used as excellent decorative piece. With our experienced and creative designers, we are able to provide eye-catching and attractive T-Light Candle Holders , which are highly appreciated for their captivating engravings and attractive designs. 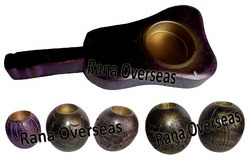 Rana Overseas is the Leading Manufacturer, Supplier and Exporter of Wooden Tea Light Candle Holders, Our T Light Candle Holders offered is made available in numerous finishes and innovative design choices and its elegant finish and lustrous shine make these highly demanded in the market. Helping in enhancing the aesthetic beauty of home interiors, we make these available in different size configurations to choose from. Further, these are also easier to maintain and clean and help in adding a touch of color to the walls and ceiling areas. 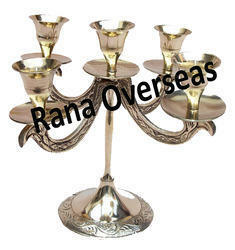 Rana Overseas is the Leading Manufacturer, Supplier and Exporter of T-Light Candle Holder, Our T Light Candle Holders offered is made available in numerous finishes and innovative design choices and its elegant finish and lustrous shine make these highly demanded in the market. Helping in enhancing the aesthetic beauty of home interiors, we make these available in different size configurations to choose from. Further, these are also easier to maintain and clean and help in adding a touch of color to the walls and ceiling areas. We hold expertise in manufacturing and exporting of varied range of artistically designed Wooden T-Light Candle Holder, which is widely used as excellent decorative piece. With our experienced and creative designers, we are able to provide eye-catching and attractive T-Light Candle Holders, which are highly appreciated for their captivating engravings and attractive designs.